Plumb Crazy, Inc., is a full service residential and commercial plumbing contractor. You can rest assured that the technicians who come to your home are the most competent in the industry. Our technicians will be responsive to your needs, treat you and your home with respect, and will inform you with up front pricing before any job is started. 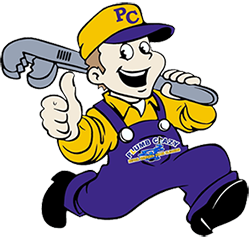 When you choose Plumb Crazy, Inc., as your preferred plumbing contractor, you are guaranteed a positive experience.